Whether you have a single uncomfortable room or you are changing out your current heating and cooling system, Mitsubishi Electric has a Zoned Comfort Solution™ that fits your unique needs. Because Mitsubishi systems focus on individual living spaces rather than treating every room the same, it’s more customizable, more energy efficient and easier to install. 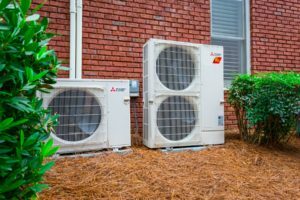 Purchasers of Mitsubishi products through Greenwood Heating will enjoy the assurance that comes from choosing a contractor who has committed to a code of ethical business conduct and met key training and compliance standards. Why put up with rooms that are too hot or too cold? 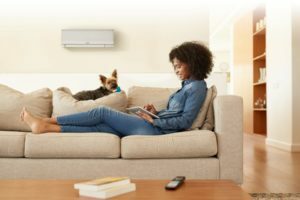 A ductless mini split from Mitsubishi Electric gives you the ability to set and maintain the ideal temperature in any individual room in your home. Rather than tying into your existing HVAC system that treats every room in your house the same, Mitsubishi ductless systems control each room independently. The small compact design of the unit leaves a small footprint physically, environmentally, and sonically. 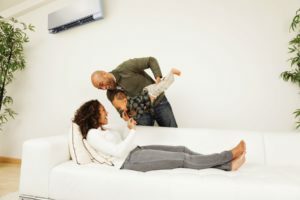 Multi-zone Mitsubishi ductless systems are perfect for the whole family to get cozy, even with different preferences on what temperature qualifies “cozy”. See how in this short video. Do you have one room that is too hot, too cold, or both depending on the time of year? 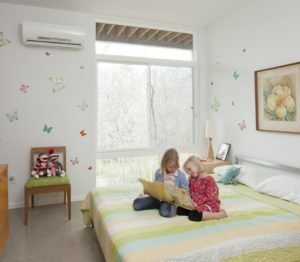 A single-zone ductless system from Mitsubishi is the perfect way to get that pesky room to the perfect temperature. See how in this short video. 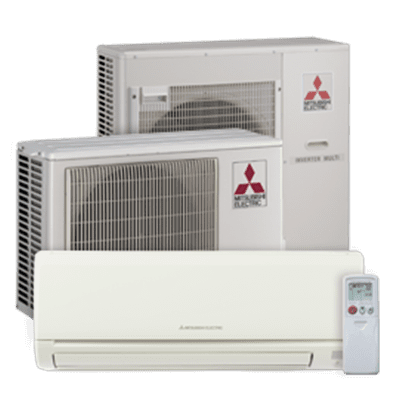 Mitsubishi ductless solutions and short-run ducted systems deliver cooled and heated air directly to the rooms they serve, without the need for noisy fans. 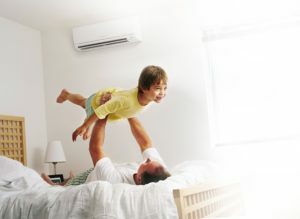 No central air system turning on and off means no clunking and clanking, just quiet and seamless heating and cooling. Remotely adjust your settings so every room in your home is the perfect temperature, avoiding unexpected cold and hot surprises upon your return. Schedule programming is as easy as ever; set up what temperature you want each room during certain times of the day. Affordable monthly payment plans are available when choosing to purchase a Mitsubishi Ductless Heating system. Several options available, ask your Greenwood Heating Comfort Advisor for more information or click here to apply for financing, subject to credit approval. Take advantage of rebates and save when purchasing a Mitsubishi Ductless Heating system through Greenwood Heating. Ask our Comfort Advisors about how these rebates can be applied and what you can qualify for! Check out a video on how quiet these are!